This light wood frame and mount have been designed to fit 3 photos sized 4x6" (10x15cm), great for displaying multiple pictures of your loved ones and favourite memories. . 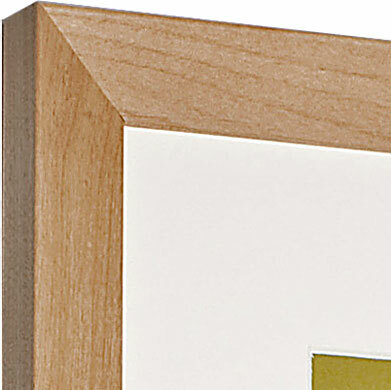 The frame itself is suitable for an image size 60x20cm, without the mount. The stylish wood moulding has a 27mm face width and is 8mm deep.